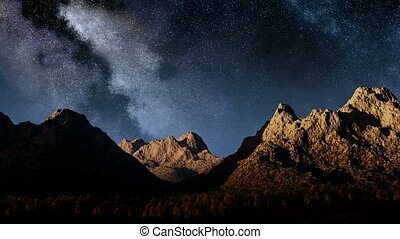 Milky way stars above desert mountains. 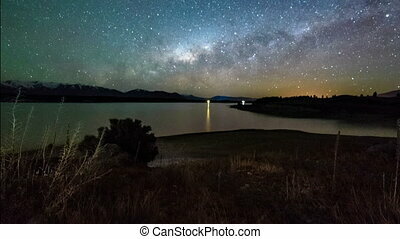 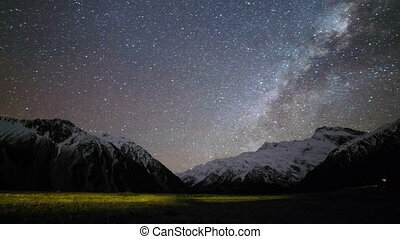 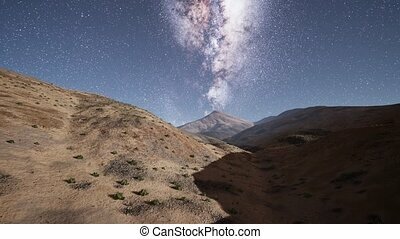 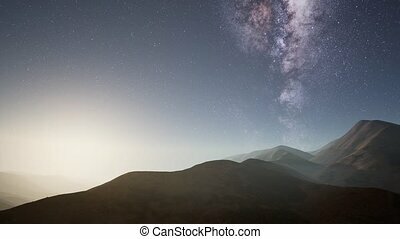 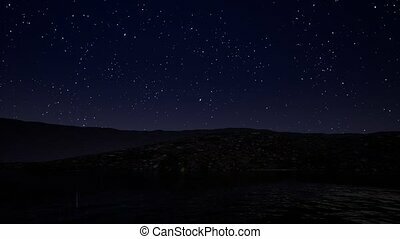 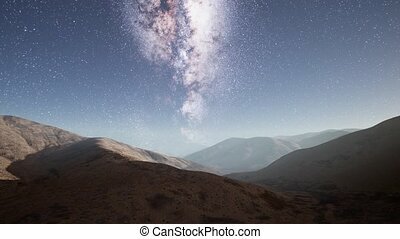 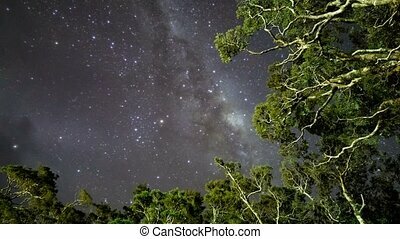 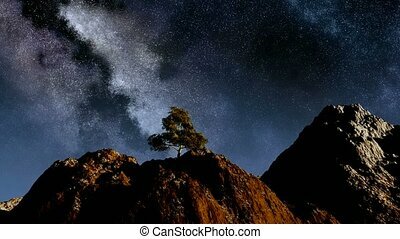 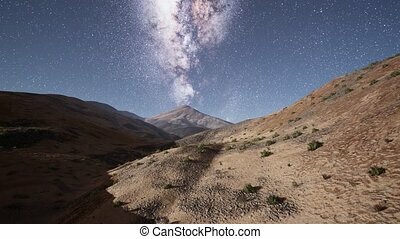 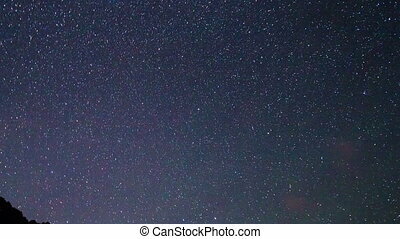 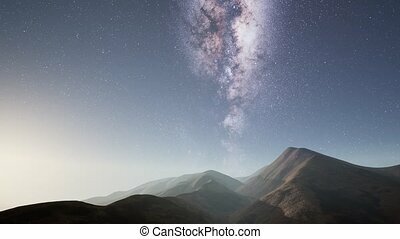 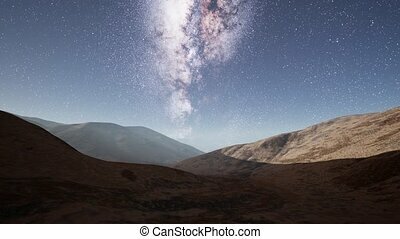 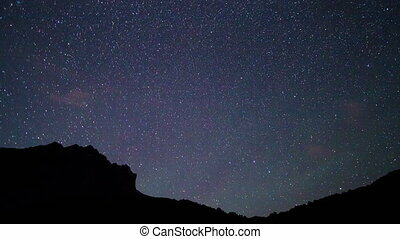 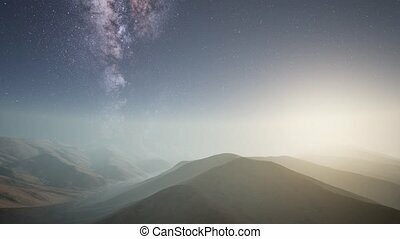 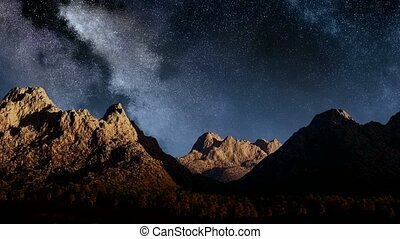 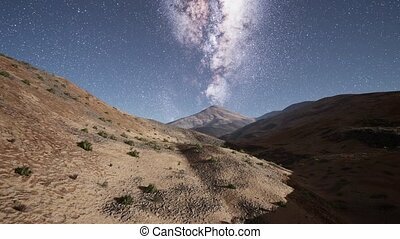 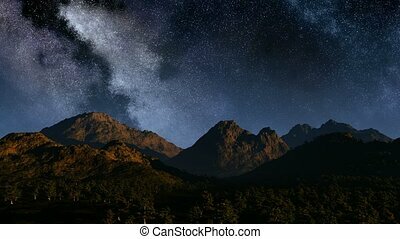 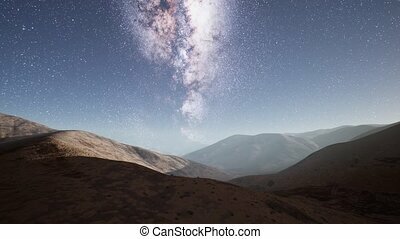 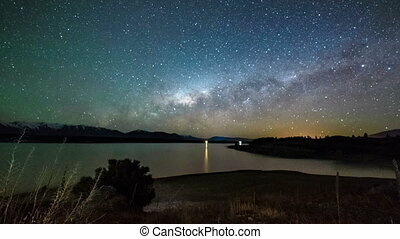 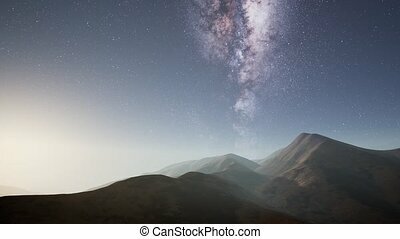 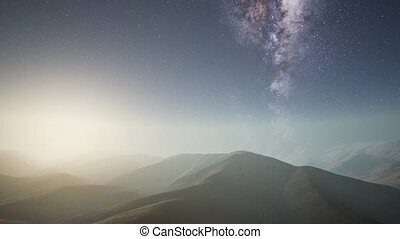 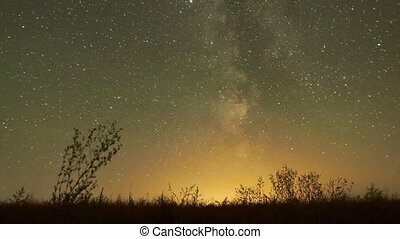 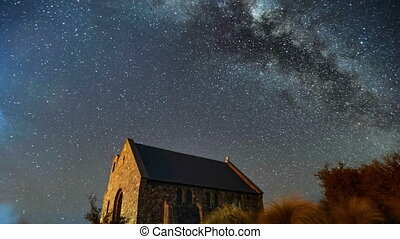 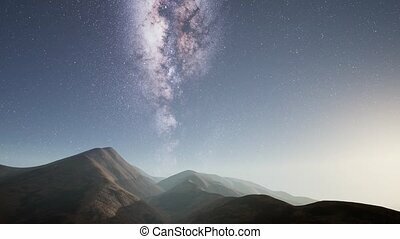 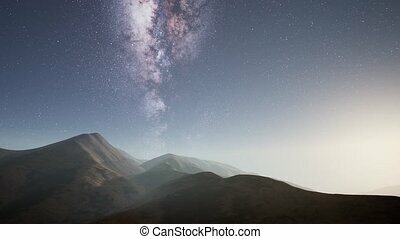 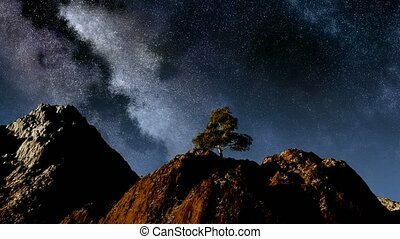 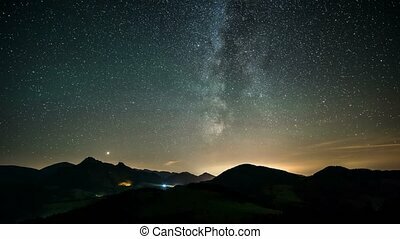 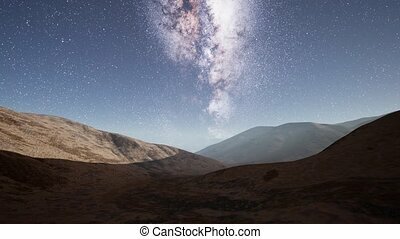 Stars with milky way galaxy moving over mountains landscape in starry night sky. 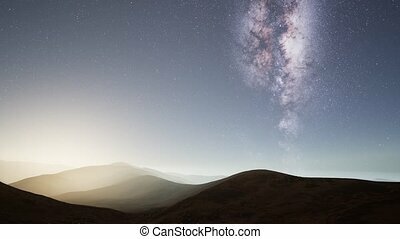 Astronomy Time lapse, Night to day.